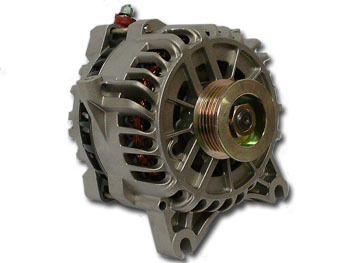 The High Output Alternators we supply for the Ford Expedition will be direct fit installations for your vehicle. 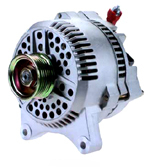 Below are sample pictures of the alternators used. We will supply the correct unit based on the vehicle year you select. Our Mega Amp units will provide heavy duty use for longer periods and will run cooler than the factory style alternators. You should also upgrade the output cable from the rear of the alternator to at least a 4 gauge cable for OE alternators up to 250 amp or 2 gauge cable for the Mega Amp alternators.